The club has been in collaborating with Mid Ulster Council regarding lighting the pitch walkway. This will be a great boost to the club and we are looking forward to providing opportuities for the community to use the facilities for healthy activities such as walking in the darker months of the year. 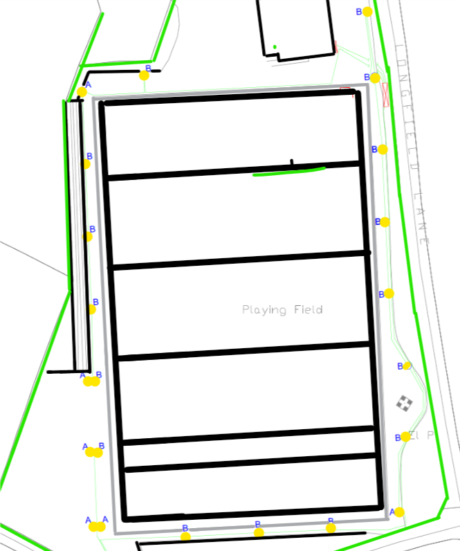 We are nearing completion of the planning phase and we will keep you all up to date on how things are going. As the new year begins membership is now due. We will be holding registration nights on Friday 21st Jan, 28th Jan, and 4th Feb – from 8pm to 9pm. Would need all memebrs to update their data protection consent and permissons, so we would ask that you fill out a form for you or your family. Your name and the names of your family members can go on the one membership form, and this also includes consent for data storage and preferences for contact from St. Martin’s GAC, regarding activities at the club. Everyone needs to be covered by one of these forms. For playing members with pre existing medical conditions, please fill out a Health Declaration for each individual. This allows coaches and trained first aiders to know who in thier teams they need to know about. We are embarking on development of our facilities this year and the Club can only be strong and successful with the backing of the community and in turn the community benefits from up to date facilities and services. Please take your time to read over the new code of behaviour docmument from the GAA. It is a Code of Best Practice in Youth Sport and addresses the appropriate levels of behaviour, practice and conduct required from our young players, officials, coaches, trainers, mentors, supporters, parents/guardians and clubs. There will be first aid training OPEN TO EVERYONE in the hall on 13th Oct for 9am – 3pm. This is a full day of excellent training, and it is mandatory for all our coaches under our insurance obligations. Visit the facebook event page to book your place. A few reminders for upcoming events over the next couple of weeks. – Tuesday 20th 7pm Ulster Coucil Officer coming to the club to talk about bullying and prevention. -Thursday 22nd 8pm in Main Hall – County Board running mindfit mental health talk in the hall, for 14-18 year olds. -Thursday 22nd 8pm in Portacabin – Pre-registration night for Slieve Gallion Challenge. 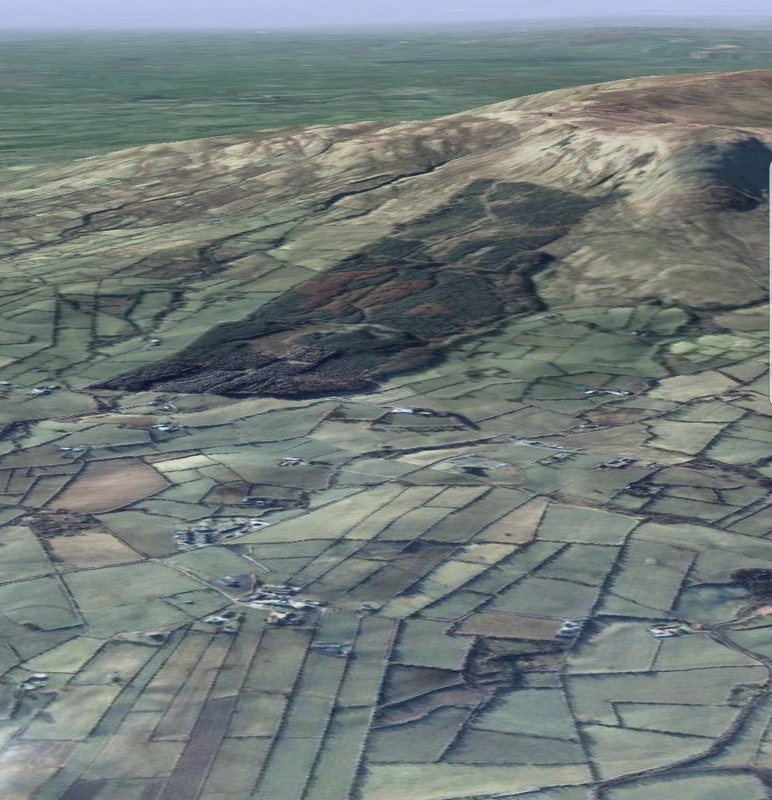 -Sunday 25th 10am – Slieve Gallion Challenge 10k & 5k. -Thursday 1st March – Free Health Check at the Hall. We would like to thank everyone for the great response to the Community Services Survey so far. One of the stand out potential services the community selected were health checks. 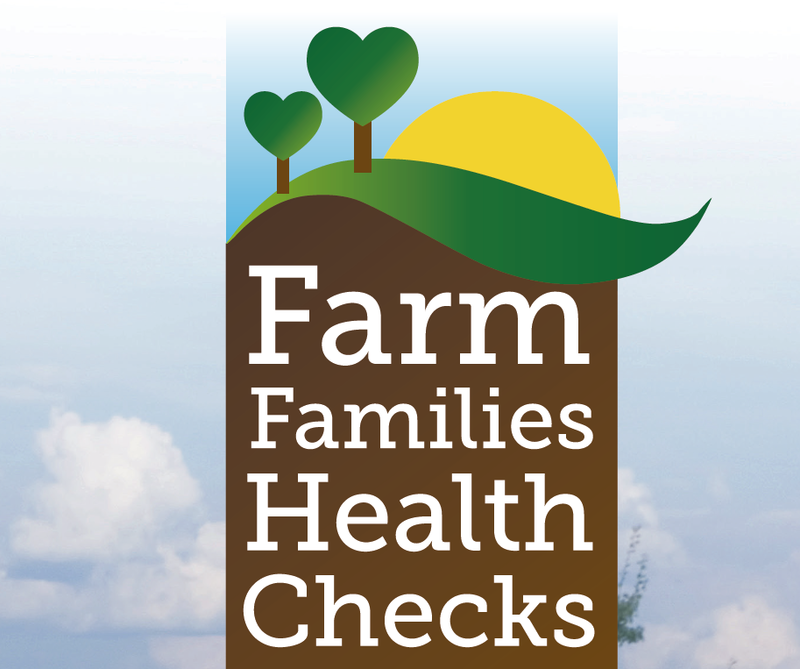 Taking this on board we have organised for the Farm Families Health Checks team to visit on the 1st of March. The service is run by the Northern Health and Social Care Trust in conjunction with the Public Health Agency. There are slots available for consultation on physical screening, including blood pressure, blood sugar and cholesterol; and lifestyle checks including diet and exercise advice. The service is not exclusively for farmers but is targeted towards this group. Check out the leaflet below. To register you interest or if you have any queries call Paddy Kidd on 07792127940 or email the club email address, desertmartingac@gmail.com. 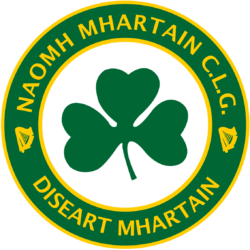 St Martin’s GAC, Desertmartin Annual General Meeting was held on 15th Jan 2018 in the Gaelic Centre. After brief discussion on the Treasurer and Secretaries reports, the new Committee was duly elected, and it looks very much like the outgoing committee, with some small changes. Pat Kidd remians Chairman for another term, and was elected unopposed, as was Paddy Kidd in the Vice Chairman role. Gerry McGuigan stepped down as Secretary after 5 years, and the post was taken up by Anne Matterson, with Gerry as Assisstant Secretary. Brona Connery remains as Treasurer, with the Assistant role taken up by Shane Martin, a new face to the club committee, and very welcome addition. Colm Breen outgoing PRO remains for another year unopposed. The Cultural and Language Officer Shay Sheils, was keen that he could share the job, suggesting the help of Sinead McGuckin, and this was accepted. She is more than welcome, and will bring some youth and enthusiasm to the job. Pamela O’Kane remains on as Youth Officer as per the outgoing Executive Committees recommendations. After the elections, other business discussed included the plans underway for deveopment on a Community Services Hub. The project will require building works to extend the current premises and alot of planning and work on the part of the Executive Committee as well as the Community Services Project team, which are working away in the background to secure grant funding under the Rural Services Scheme, being administered by the Mid Ulster Council. This vision can only be realised with the support of the community for the community. In the coming months, there will be oppourtunties to test the uptake of new services as small trails of some of the suggested services will be attempted with the current space available. We would also appreciate if we could get as many of the local community as possible to fill out our Community Services Survey to help the Project Team to prioritise and focus their energy. Another aim of the club, which ties in nicely with the Community Services Hub, is to attain Healthy Club status. This is a GAA Project which aims to harness and solidify the GAA’s presnce in the grass roots communities, and provides resources and support aimed at key areas such as Mental Fitness, Healthy Eating, Gambling Drug and Alcohol Awareness and non-GAA Physical Activities. Chairman Pat Kidd acknowledged that there is alot of work to be done, and that if everyone takes part just a little we can get there together. He highlighted once again the Friends Of Desertmartin scheme, which is an ongoing fundraising initiative, which enables dedicated memebers to give a little bit more towards the financial planning of the Committee. The scheme was roled out during 2017, and currently we have 37 patrons signed up to the mantra….”Alone we can do so little; Together we can do so much”. Following on from our application for funding under the Rural Services Scheme in 2017, we unfortunately came up just short in the awarding process. This however is not the end of the road for our Community Services project. Through our consultation in February last year, and through our feasibility study, we have found that there are service needs for the local community, and the government’s own figures show the area is deprived in terms of proximity to services. We identified that there is an aging population with 50% of residents over 40 years of age, and accept that the Club has in the past been mainly focused on physical activities enjoyed by our youth. The aims of the Community Services Project is to further identify the social and psychological needs of you the community, what services we can put in place, and what facilities we need to develop in order to provide those services. This can range from book clubs, to farming safety education, to providing a local place for our elderly to socialise and combat isolation. Please take a couple of minutes to fill in our online survey. If you know someone who does not have access to the internet you could help them fill out the survey also. We will make paper versions of the survey available at the club for those who prefer to fill out paper responses.